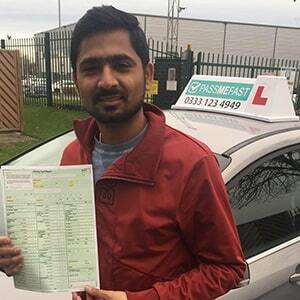 If you’re looking for a driving school that can help you to bypass the long driving test waiting times, offers flexible lessons with experienced, friendly instructors, and takes away the hassle that comes with learning to drive, then come to PassMeFast. Our driving lessons are available across Haringey, and can help you to pass your test within weeks of booking. At PassMeFast, we believe that a course doesn’t need to be inflexible to be intensive. With us, you control the pace of your lessons—there are no one-size-fits-all 5 day courses here! Instead, we offer both fully intensive and semi-intensive course structures. This means that you can fit lessons into even the busiest schedule while still passing well ahead of the traditional timeframe. Interested in automatic driving lessons in Haringey? Not a fan of shifting gears? Is clutch control a drag? An automatic car could be a great option for you. PassMeFast offers courses in both manual and automatic cars—so, if you’re looking for a smoother urban drive, an auto course might be just the ticket. Read up on our guide to the differences between automatic and manual cars for information, and be aware that prices may vary by transmission. Our department is adept at beating the usual DVSA waiting times by weeks or even months, ensuring that you’re not left waiting around. What’s more, we’ll start by booking this date in advance, and structure your lessons around it. This means you’ll be able to hit the ground running (or, more appropriately, driving) when it comes to taking your practical test. Booking in with us is simple, and can speed up the process of learning to drive by months. Just give us a bell on 0333 123 4949, or book online by clicking the button below. Very few boroughs lying so close to central London have their own test centre—but, fortunately, Haringey is an exception. 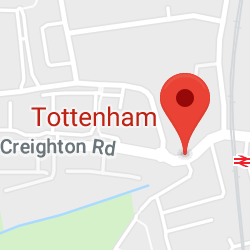 In fact, there are two practical test centres within the borough: Tottenham, which is a stone’s throw from the former Spurs ground at White Hart Lane, and Wood Green, ten minutes’ drive from Alexandra Palace. In such an urban area, be sure to check out our guide to the different types of pedestrian crossing—don’t get caught out! 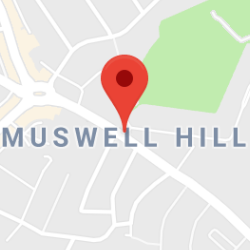 Sadly, Haringey’s learners can’t have it all their own way: while there’s a choice of practical test centres here, there are no theory test centres in Haringey. This isn’t too much of a shock—there are only eight in Greater London. 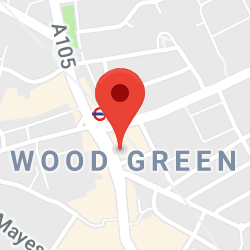 The most convenient test centre for candidates from Haringey, therefore, is Southgate theory test centre, which can be reached directly on the Piccadilly line from four Tube stations in the borough. It’s important to remember that you can’t take your practical test without having passed your theory test first. If you’re without a valid theory test pass certificate, be sure to check the box for a theory test when making your booking. 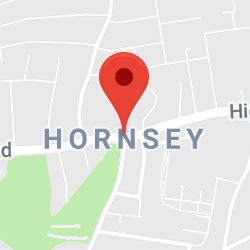 You’ll find a wealth of different road types within the compact boundaries of Haringey—and that can make driving here a challenge. Your test route may, for example, require you to navigate your way around the roundabout at Great Cambridge Junction, which links the A10 and North Circular. You might also find quieter, residential roads, lined with cars, which will put your hazard perception and responsiveness skills to the test. Of course, it’s not an either/or: your test will encompass the full breadth of roads in Haringey. This is, without doubt, a daunting task—but PassMeFast are here to help. Whether you’re struggling with roundabouts, need to practice those manoeuvres, or simply don’t know how to answer the ‘show me, tell me’ questions, we’ll help you to build new skills and polish up your existing areas of strength. 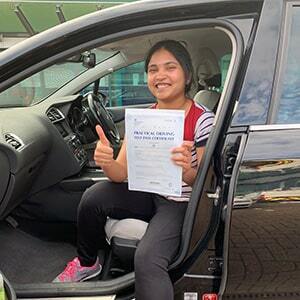 By the time your driving lessons come to an end, you’ll be raring to go. 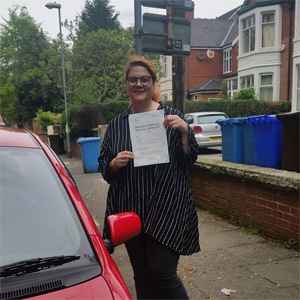 There’s no such thing as a ‘guaranteed pass’ in any test—but with your newfound driving knowledge and sky-high confidence, you’ll have a fantastic chance of walking away with that full UK driving licence first time. Our courses are available across London: north, south, east and west. Some of the many areas we cover can be found in the list below. With instructors across the UK, it’s little wonder that we’ve already helped to create thousands of magical moments for PassMeFast’s large family of alumni. To join us, call us on 0333 123 4949, or book your course online in minutes by clicking on the button below.